We have all had those weeks where breakfast falls to the wayside. 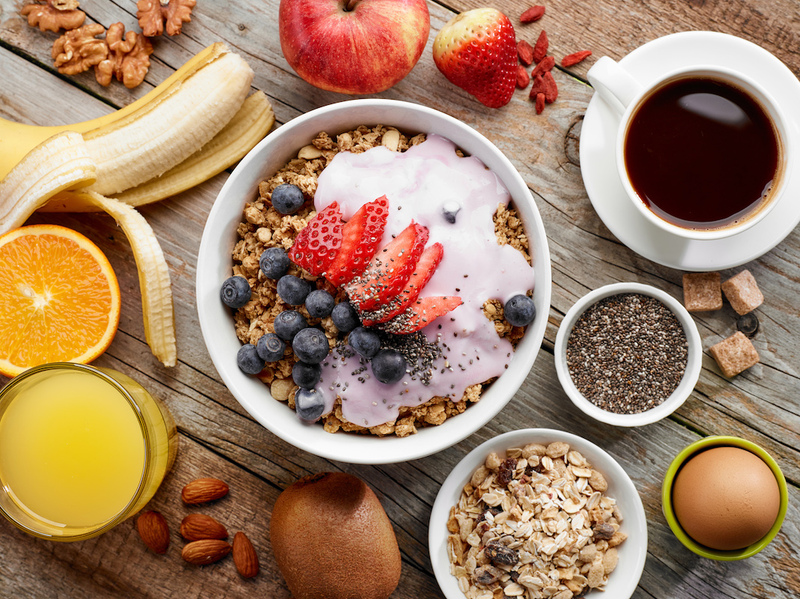 You had every intention of cooking a healthy breakfast and having the time to blissfully enjoy it before starting your day; but, hectic schedules, unforeseen events or hitting the snooze button a few extra times waylays your plans. So, you instead picked up something unhealthy and unfulfilling on the way to work or worse, skipped the most important meal of the day all together. Meal-prepping, or preparing multiple meals in advance, is a great way to ensure you and your family have healthy meals at home or on-the-go all week. The key to breakfast meal prepping is to prepare foods that can be separated into single-serve containers, are easy to reheat and will keep for a few days. Setting aside a little bit of time to meal prep during the weekend can help ensure you and your family are fueled with the protein and nutrients needed to stay active and focused throughout the day. You can make five days’ worth of breakfast, divide into single-serve portions and refrigerate or freeze until you’re ready to enjoy. Experiment with these four cost-effective, quick and delicious breakfast ideas. A great way to pack in nutrients, smoothies offer endless combinations to get creative and shake up your morning breakfast. Start with a banana or avocado base; add in a liquid such as juice or milk; and top with array of fruits or try to sneak in some greens, such as spinach or kale. Add in protein powder, flax or chia seeds for even more nutrients. Check out eight healthy smoothie recipes from Reader’s Digest to jumpstart your morning routine. Swap your sugary guilty pleasure for a pre-prepped egg muffin. On-the-go and paleo approved, it packs a high-protein punch and is incredibly easy to make as it only calls for six ingredients. Make a batch on Sunday evening and enjoy a filling breakfast every weekday morning. Check out the recipe via FoodFaithFitness.com. Put your collection of mason jars to good use and follow this 10-minute recipe via FitFoodieFinds.com for a delicious parfait you can look forward to waking up to tomorrow. As delicious as they are pretty to look at, breakfast parfaits involve layers of granola, your favorite flavor of Greek yogurt and an assortment of berries. With a two-minute total prep time, there is no excuse not to try these eight overnight oats recipes via Wholefully.com . Similar to smoothies, overnight oats encourage experimentation. Start with a base of Greek yogurt and rolled oats and add flavors like coconut flakes, chia seeds and honey for sweetness. After chilling overnight, just add a spoon before walking out the door in the morning.